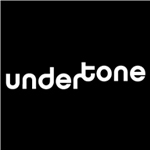 Undertone Sound Library has a couple of new offers! Wide open Grassland Prairie sounds captured in 24/96 double-ORTF QUAD! Grass blowing, crickets, bird songs, bird calls. A small but high-quality collection of recordings on a HOT day in August of 2015 in Southern Minnesota. This is a great complement to the Prairies and Small Forests 1&2! This is a package of QUAD recordings from four of our ambience libraries. We are offering this combo pack at a discounted price of $125. You will save $35 (a close to 30% savings) by purchasing this combo pack, as opposed to purchasing them individually.